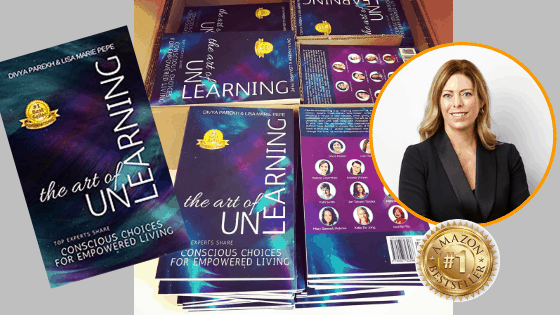 In 2017 I was fortunate to work alongside 10 powerhouse female entrepreneurs to create the much-anticipated anthology THE ART OF UNLEARNING: CONSCIOUS CHOICES FOR EMPOWERED LIVING. Our collaboration explores the art of ‘unlearning’ all the explicit and implicit messages we hear as we grow up, in order to be ourselves fully and to live life on our own terms. The book is a collection of inspirational stories by women who have thrown off the shackles, rewritten their own life rules and overcome difficult obstacles to find a way to live from their heart and thrive. When the two instigators of this beautiful collaboration – Lisa Marie Pepe and Divya Parekh – put out their call for authors early in 2017 with their title ‘The Art of Unlearning’, I knew I had to be a part of the project. 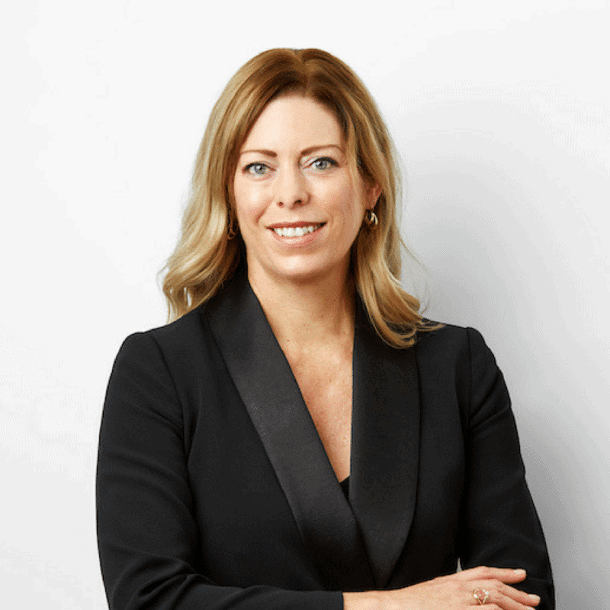 ‘Unlearning’ has been the central theme of my life journey so far and is now at the heart of my work as a coach who is passionate about helping women live a life true to their hearts. When we’re growing up we unknowingly absorb a multitude of messages in the form of parental and societal expectations about what it means to be ‘a good person’, or ‘successful’ or ‘morally correct’. Sometimes those messages are in alignment with our own personal truth, and sometimes they’re not. When you try to conform to those expectations that don’t feel true for you, you stray from your authentic self and you end up feeling frustrated, empty or unfulfilled as a result. And if you stray far enough away from your true self, you can end up depressed or unwell. Prolonged negative feelings and emotions are your own internal guidance system, designed to alert you when you’re out of alignment with your personal truth. As you’ll find out in the book, the more I personally tried to suppress or ignore my own negative feelings in my journey of life, the more miserable and unwell I became. It wasn’t until I started acknowledging, listening to and acting on those emotions that things started to change for the better. In need of inspiration? Get your copy of our #1 International Bestseller now! There is most definitely an ‘art’ to figuring out what is true for each of us, and it is equally an ‘art’ to live your life in accordance with that truth. ‘Unlearning’, as the word suggests, requires that you first unlearn everything that you have assumed is ‘true’, in order to learn a new way of thinking and behaving. To embrace new ways of viewing the world and to re-shape your life inside of those new beliefs, you first need to unlearn any limiting mental models, false internal narratives or beliefs that you’ve developed and embraced throughout your life. And because adapting new beliefs requires you to change, it can feel uncomfortable. In the foreword of our book, Literary Strategist Ann Weber uses a great analogy for unlearning: Learning to drive a car on the ‘other’ side of the road. When you go to a country that drives on a different side of the road to what you’re used to, it takes a lot of effort, small mistakes, feelings of discomfort and persistence before you can forget how to drive on the side that you’re used to, in order to drive effectively on the ‘other’ side. 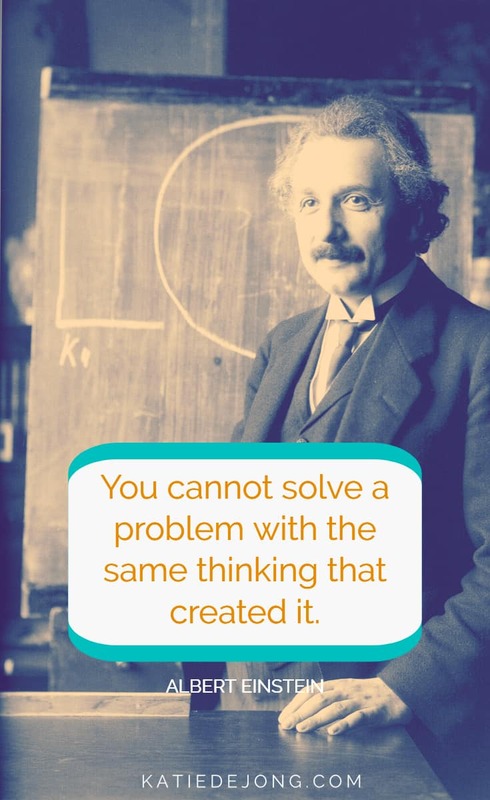 And the same goes for adapting any new belief or behaviour; we first have to forget about how we used to think, and really consciously and proactively CHOOSE to believe and act in a new way. And it’s so easy to slip back into the ‘old way’. Which is why we all need guidance and support during any period of change – to keep us on the path we truly want to walk. In our book THE ART OF UNLEARNING, nine different women share their own stories about what led them or, in many cases, forced them, to unlearn outdated ways of thinking, in order to shape their own lives in accordance with their personal truth and heart. The book is an uplifting, inspiring read that will – I hope – inspire you to dig deeper to find your own personal truth and to make conscious choices to align yourself more closely to it. Below I share the 5 powerful myths, messages, and beliefs that I personally had to UNLEARN before it was possible for me to step into a new way of living for myself, in alignment with my heart and soul. You’ll have to get yourself a copy of the book in order to find out what happened to me – and 8 other women – as a result of believing our societal myths … and how we found ways to rebuild ourselves and our lives from the ashes of these false truths! 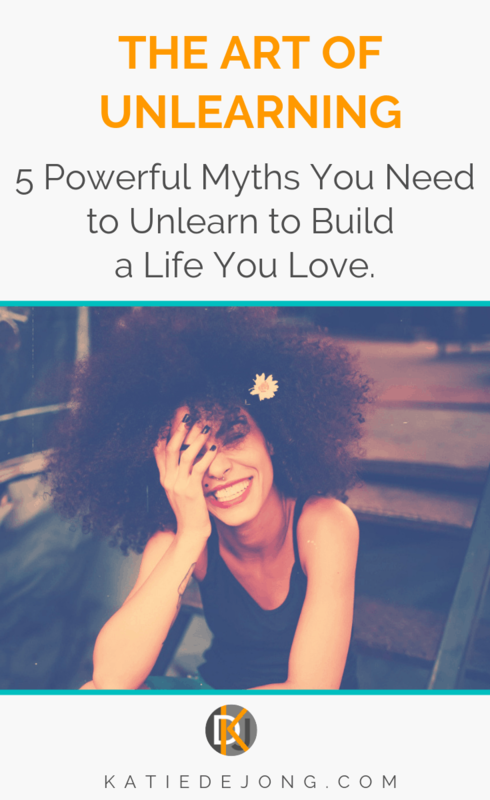 5 POWERFUL MYTHS YOU NEED TO UNLEARN TO BUILD A LIFE YOU LOVE. 1. The things you love doing and that feel easy are for ‘hobbies’; not for a real job. In high school, I loved languages, literature, and the humanities. They felt natural and easy to me; it was as though my brain was wired for them. I could sail through exams with relatively little effort, in comparison to the maths and sciences subjects, which felt hard and tedious and required huge amounts of effort to get decent grades. And yet, when it came time to choose a study at University, the well-intentioned people around me advised that I choose financial security by studying science & engineering, which I pursued for 15 years, at the cost of my overall personal happiness and health, as you’ll find out more about in the book. THE REAL TRUTH: The things that you love doing and that feel easy form an essential and very central part of your most joyful and abundant life path and purpose. 2. It’s not practical or responsible to do what you love. It’s not hard to understand why our parents and teachers might have cautioned us into choosing security over joy. 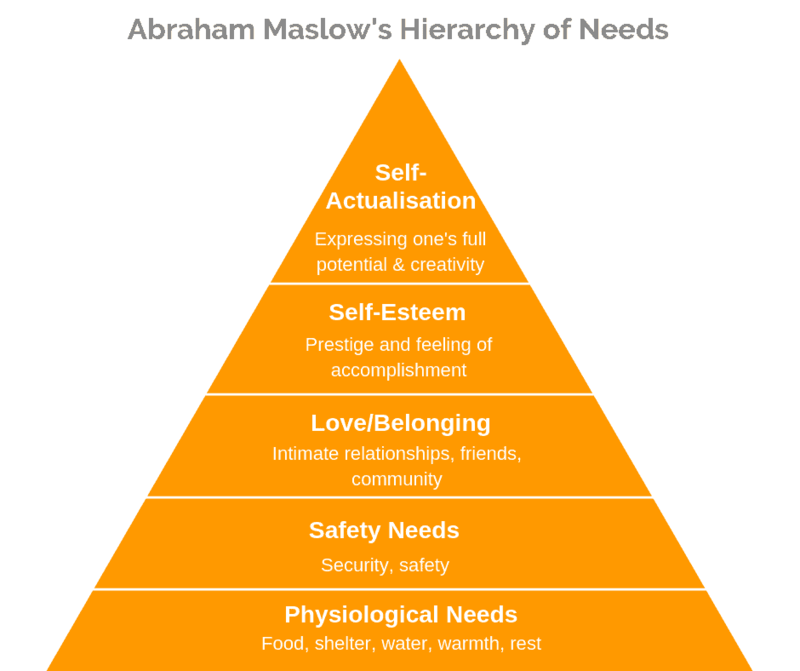 For many of our parents, their families had been busily trying to rise up out of the first two layers of the famous psychologist Abraham Maslow’s Hierarchy of Needs. Emerging out of the post-depression era, many of our Baby Boomer parents knew nothing but hardship and struggle growing up, which they passed onto us. But fortunately for many of us today (particularly in the developed world), we’re experiencing unprecedented times of prosperity and we’re at a stage in our human evolution in which self-esteem and self-actualization are now possible. THE REAL TRUTH: When you engage in activities you love, that you’re good at and that you’re passionate about, you become magnetic and unstoppable and you find ways to make an abundant income no matter what the circumstances. Doing what you love ensures that you’re the happiest and most balanced version of yourself, which has positive ripple effects to everyone in your life, both financially and emotionally. In actual fact, it’s irresponsible and not practical TO SUPPRESS your genuine desire to do what you love. 3. Others know what’s best for you. 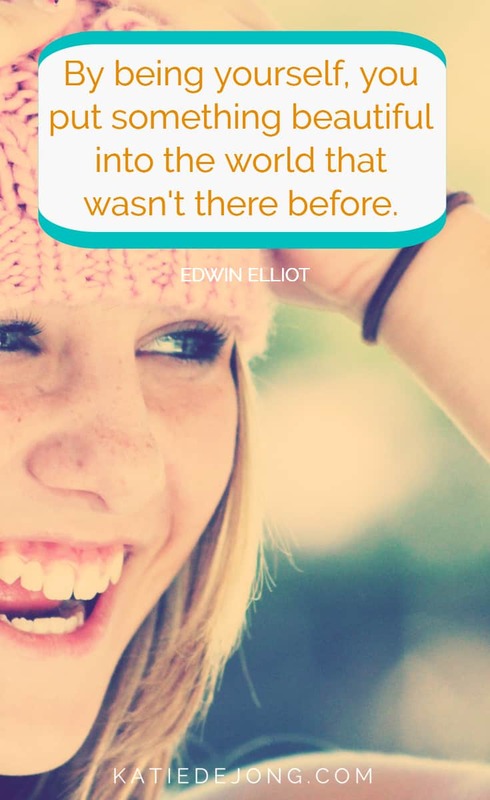 As children, we start out being very connected and in-tune with our own hearts. And yet many of us are taught from a young age that our parents and teachers know what’s best for us and that we can’t trust our own inner impulses and desires. We’re told that our dreams aren’t possible, or realistic or practical. Over time we learn to disconnect from our hearts as we’re forced to suppress the internal whisperings we hear, pushing them into the background as wishful thinking. 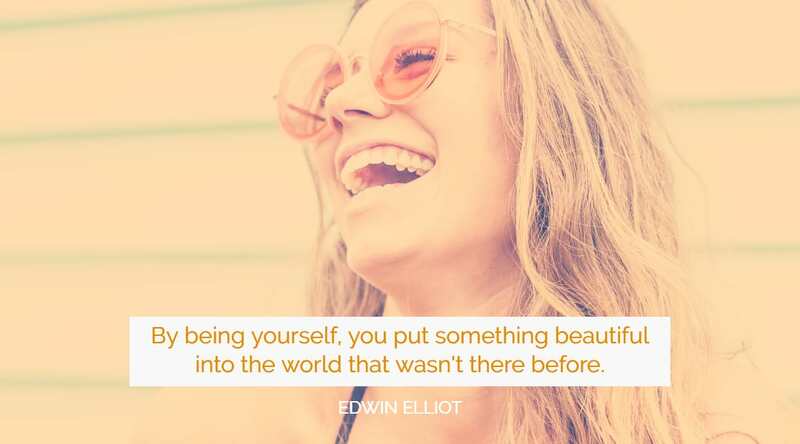 THE REAL TRUTH: Learning to connect to and trust the pure intelligence from your heart is the fastest path to living an authentic and joyful life. 4. You’re not supposed to enjoy work. If it was fun, they wouldn’t call it work. I truly used to believe this one and I do believe it’s the reason I stuck it out in my career for so long, even though I felt so empty and miserable. As I was growing up, I understood work to be a necessary evil to help pay the bills. As I looked around me, it seemed that everyone who was ‘successful’ was working incredibly long hours and sacrificing much of their personal life for the demands of their job. And it seemed natural that I would have to do the same. But can you think of someone you know who absolutely loves their work and how they seem to just naturally THRIVE, emotionally AND financially? That’s because we experience abundance in all areas of our life when we commit to doing what feels joyful. THE REAL TRUTH: You ARE supposed to enjoy work. When your work is accompanied by feelings of joy and positive emotion, you tap into an unlimited reservoir of creativity and potential that has limitless positive ripple effects. If you really don’t enjoy your work, it’s a sign you need to do something else! You’re doing yourself and everyone else around you a disservice by sticking it out in a job you really don’t like. Of course, every job has parts we don’t like. But if you don’t come home with a genuine, overall feeling of fulfillment and satisfaction at the end of each week, maybe it’s time to start doing some deep self-reflection to find out how you can start realigning your life with your own personal truth and happiness. 5. Materialism and wealth are true signs of success. This was certainly something that seemed true to me while growing up; that my success would be measured by the material possessions I’d be able to accrue. It certainly seemed to be the way everyone else measured each other’s success. Unfortunately, the more money I seemed to make, the more miserable and empty I felt inside. THE REAL TRUTH: The definition of ‘success’ is personal for everyone. For me personally, it’s having mutually nurturing relationships and connections, being able to spend time with my precious friends and family, being able to make a positive impact through my work, loving the work I do and the people I work with, having time to travel and experience the world and feeling a deep sense of joy and gratitude each and every day. To find out about some of the other very real and POWERFUL MYTHS that other women have struggled with in life, and how they’ve managed to UNLEARN them in order to live a life true to their hearts and THRIVE, get your copy of THE ART OF UNLEARNING: CONSCIOUS CHOICES FOR EMPOWERED LIVING today! Please leave a comment below if something resonated with you! Awesome insights Katie. I agree with everything you have listed. I guess the only caveat would be for #3. I think it’s good to take advice, but you’re right that you have to make your own choices and run with them. 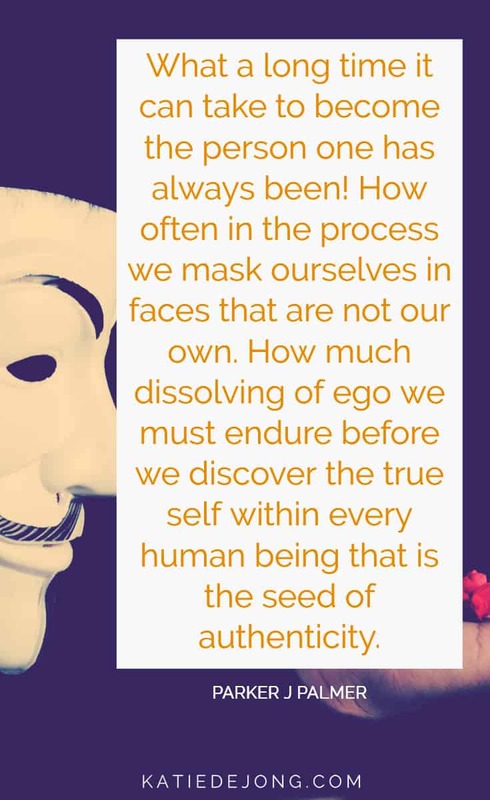 The wisdom of others can help guide us somewhat, but our own hearts and minds have to steer our pathway ultimately, otherwise we end up trying to live a life that someone else pictured for us (vicariously maybe?) and not our true calling, which is your point. What I want for Noah is that he be happy in his work, not necessarily “successful” in the common understanding of the world. I want him to be a writer and/or musician, not an engineer or teacher. The advice I give, will hopefully guide him toward his own passion and joy. I look forward to reading more from the book (heading to Amazon now!). You are awesome!